As you are all well aware, I am completely at peace with my crazy cat lady-ism. Heck, 99% of the time I embrace it wholeheartedly. I love my fur babies, and I have a ridiculous amount of photos to back it up. Which brings me to today: after Charlie died last year, I wanted to get a memorial tattoo, and after 4 (oh yeah, it was 4) failed attempts at getting an appointment with the two artists I was interested in getting work from, I decided to shelve the idea. In hind sight, it wasn’t a bad thing considering I’ve since decided against my previously chosen artwork. Now I am going to wait until I find exactly what I want. However, the itch to get a new tattoo is still there. I’ve been considering getting one of the other tattoos I’ve been wanting, and the top contender is something to take my crazy cat lady status up a notch. 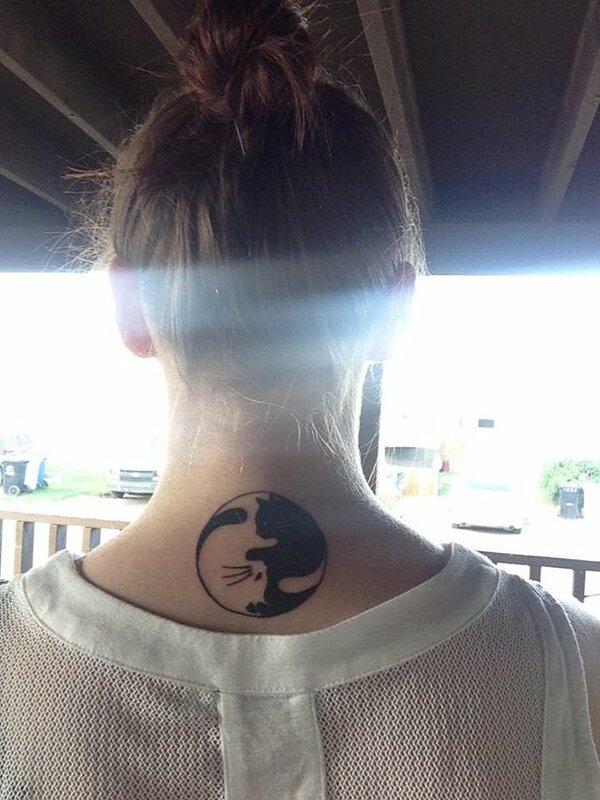 I want to get a cattoo. 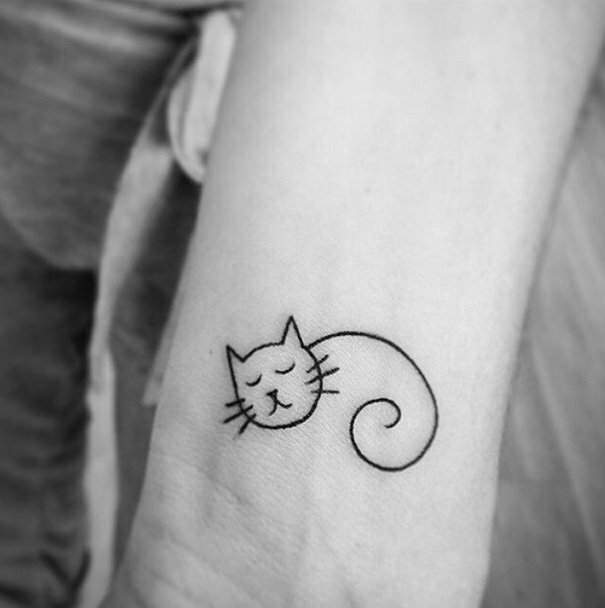 All of my current tattoos are fairly large and extremely colorful, but for my cat tattoo, I am finding myself drawn to more simplistic black and grey images. I really wish finger/hand tattoos had a better shelf life because a tiny cat on the inside of my right ring finger would be completely awesome, but if I am going to go through the pain, I want it to last. It’s happened! 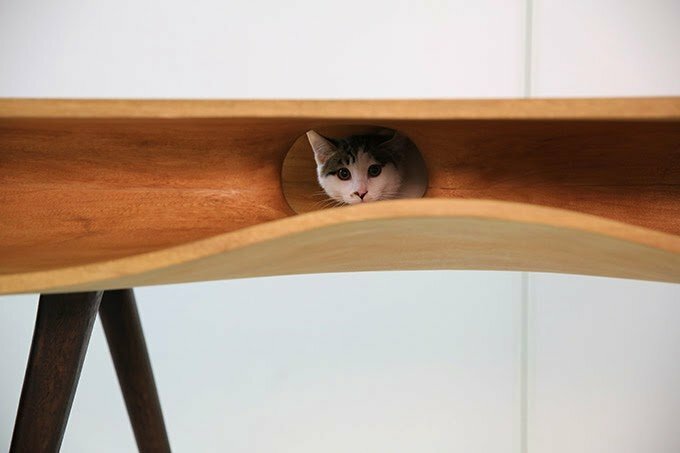 The first cat tea room has opened in the United States. San Francisco, the proud home to the Golden Gate Bridge and the house where Charmed was filmed, can now add yet another exciting destination for locals and tourist alike – KitTea. 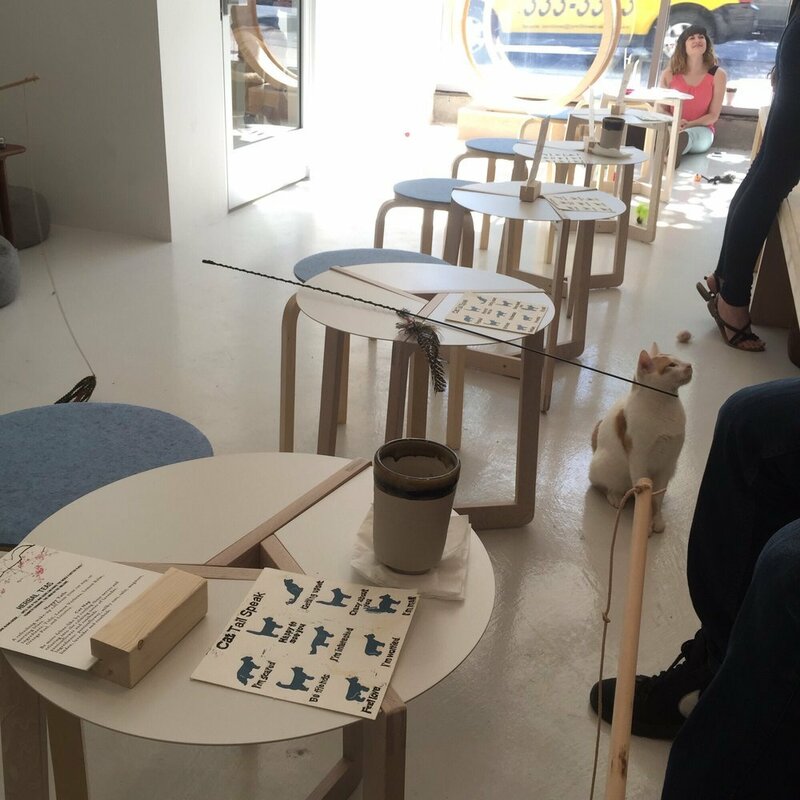 The trend of tea rooms where patrons could interact with resident felines originated in Japan. Over the last few years, the trend has made its way across Europe with tea rooms in Rome and London, and now the US has one of our very own. If cats and tea aren’t enough for you, all the feline residents are also available for adoption. To learn more about this amazing new addition or to make reservations, check out the company’s website. If you like to hear more about how this amazing place came to be, you can watch an interview with the founder. We are back from Savannah! It was a crazy trip, but we had a lot of fun. I was planning on getting my brother’s memorial tattoo at the same shop that did my honeymoon tattoo, but they were completely booked. I should have called to get an appointment, but our travel details were up in the air until the last moment and honestly, I didn’t think there would be a lot of people wanting to get tattooed on a Sunday, Monday or Tuesday. Oh well, now I am using my local contacts to find the best shop here in Tally. Our fuzzy horde was very pleased to see us yesterday. Oh they let us know who unhappy they were. How mistreated and woefully neglected they’d been, what horrible parents we were. Pretty much the same thing I hear everyday when I get home from work, times 3. My mom came back to Tally with us and she is helping me get my home office up and running. 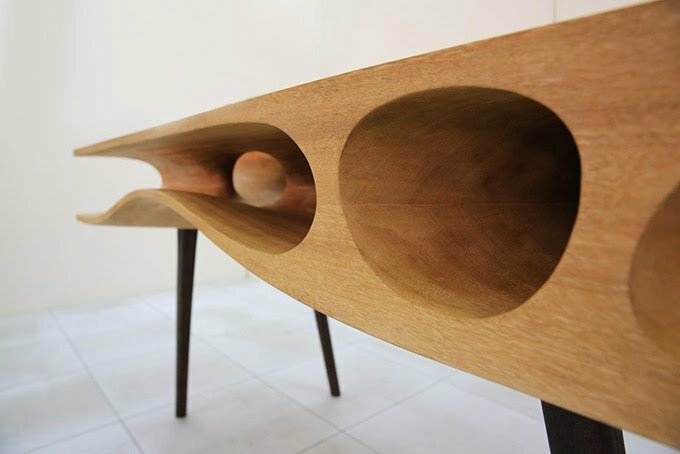 Speaking of offices, Andy found this awesome desk. 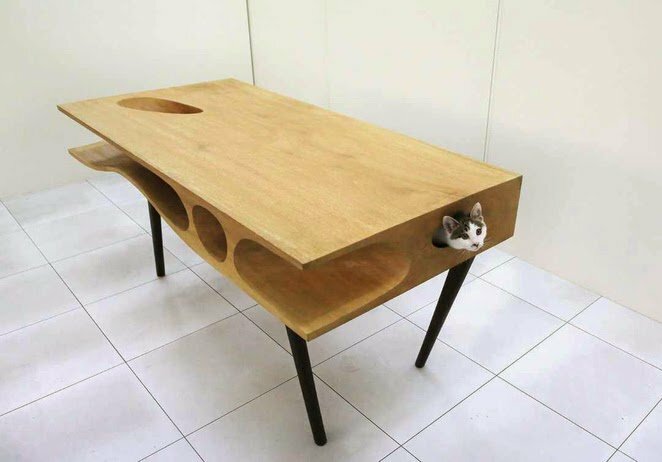 Unfortunately, I already have a lovely desk in my office, but it is the perfect option for any of you other cat lovers who don’t. Desk and images from here.